We know how hard it can be, we will ease the pain! 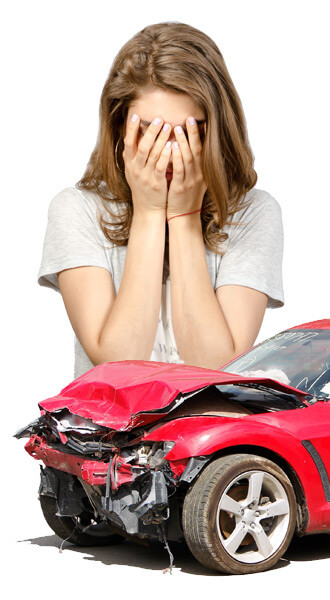 If you were hurt – or someone you love was hurt or killed – in a car accident, our Saginaw and all of Michigan personal injury lawyers can help you. If the other driver was at fault, you may have the right to compensation for your financial and personal losses due to the accident. It’s important to get medical attention right away for injuries, but legal guidance is also essential as soon as possible. Statistics show that accident victims, who are represented by a lawyer, receive three times the compensation paid to individuals without legal assistance. In a perfect world, your case would be resolved easily, quickly, and fairly. Unfortunately, it can be extremely difficult to get justice and fair compensation for all the losses you experienced. Medical bills related to physicians, surgeons, anesthesiologists, hospital costs etc. We work on “contingent fee” basis, which means we don’t get paid until we are successful in recovering financial compensation on your behalf. At LeFevre & LeFevre, P.L.L.C., our clients expect prompt and attentive legal services — and our lawyers provide it cost effectively. To talk to an attorney at our Saginaw, Michigan, law firm about your legal concerns, please contact us today.